The May 1, 2014 issue of Booklist features a review of four of the titles in The Story of the Civil Rights Movement in Photographs series. "...[David] Aretha’s clearly written, succinct texts introduce significant individuals, follow major actions chronologically, place events within their social context, and comment on their long-term significance. Quotes from participants are used to good effect...Well-focused, useful books for students researching the civil rights movement in mid-twentieth-century America." All of these 48-page books, written for the middle school reader, are available from your preferred vendor, local bookstores, enslow.com, Amazon, and Barnes and Noble. They are available in library, paperback, and eBook format. Rounding Third, Heading Home and The Third Day of Enslow's Pick-A-Page Giveaway! It's the third day of our Pick-A-Page Giveaway, and we've got some great books that you can win! "If you like Matt Christopher, you’ll love David Aretha. 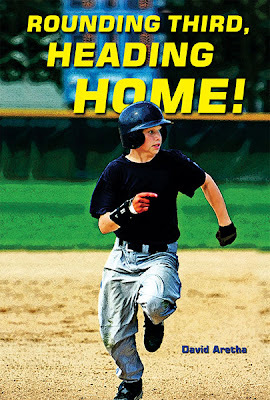 This is a classic underdog story that Little Leaguers are bound to enjoy." Rounding Third, Heading Home! and the rest of the "A Champion Sports Story" series is out now. If you like a good underdog story, or if you can't read enough about sports, check out our Pick-A-Page Giveaway for a chance to win a copy of the series! For our Pick-A-Page Giveaway, go to one of our e-catalogs and pick a page of titles you would like to receive for free. Like us on Facebook and leave a comment on Facebook, letting us know which page you would like to receive. For everyone who enters, they will receive one book from the page they requested. One winner will be chosen by random at the end of the week, and that person will receive a copy of every book on that page. The winner will be announced on Facebook on Monday! Glacier National Park in Montana was established as our tenth national park on May 11, 1910 by President Taft. Portuguese explorer Ferdinand Magellan was killed in the Philippines in 1521. French explorer Robert La Salle reached the Mississippi River. On this day in 1521, Magellan finally reached the Philippines, only to be killed by natives the following month.